The Airports of Regions holding company (part of Renova Group) has bought out the Sverdlovsk Region administration’s remaining 17.28% stake in Yekaterinburg’s Koltsovo airport, thus amassing 87.04% of the airport shares. Airports of Regions, the managing company at Koltsovo, paid 1.26 billion rubles (ca. $16,57 million at the current exchange rate) for the stake, Uralinformbureau newswire has reported, citing Yevgeniy Krasikov, the company’s director for strategic communications. After the transaction has been completed, the regional administration will formally lose control of the airport. However, prior to signing the deal, Middle Ural Development Corporation (which managed the stake in the interest of the regional authorities) promised that Koltsovo would receive the funding needed to prepare for the FIFA World Cup that will be hosted by Russia in 2018, TASS newswire has reported. By the end of 2016, the airport’s registered capital will have increased by another 5 billion rubles. A decision on a secondary offering is to be taken at the February 5 shareholders meeting. Nevertheless, industry experts remain concerned that the majority shareholder may once again put off the airport’s renovation, as it already did in 2015. The project to refurbish the international terminal was cancelled last year, after Airports of Regions concluded that “the current capacity is sufficient to service the traffic expected during the 2018 World Cup,” as Krasikov explained at the time. “The investment program will be completed, these inputs have simply been postponed until a later date. It is difficult to say when exactly this will happen,” he added. The regional administration sold half of its original interest in Koltsovo (17.28% out of 34.56%) to Airports of Russia in early 2015, for a total of 1.25 billion rubles. Back then, the regional authorities decided to retain partial control over the airport’s investment program. Koltsovo ranked fifth among the Russian airports in terms of traffic in 2014, serving over 4.5 million passengers. Traffic declined 6% in 2015 to 4.2 million. 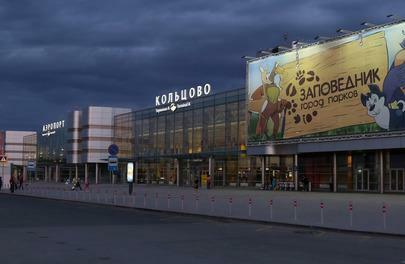 Apart from Koltsovo, Airport of Regions also runs airports in Samara, Nizhny Novgorod, and Rostov.